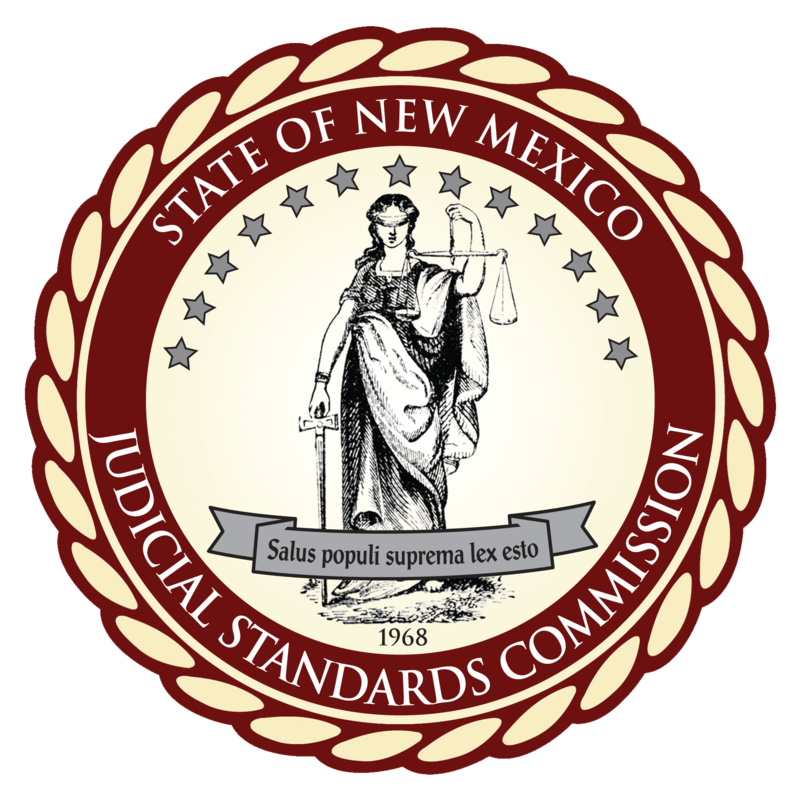 The New Mexico Judicial Standards Commission is an independent state agency within the judicial branch of the state government. The Commission is charged with investigating allegations of misconduct and disability against New Mexico state, county, and municipal judges within Article VI of the New Mexico Constitution. Complaint forms may be obtained by contacting the Commission office by telephone or mail, or you may download the complaint form in .pdf format. Guidelines for completing this form are included on the complaint form and in the Commission’s brochure, which may be obtained by clicking the “Commission Brochure” button. The creation, history, and purpose of the Commission, statistics, report of activities, and other pertinent information may be found on this web site, and are included in the Commission’s annual reports. The Commission does not have jurisdiction over attorneys, state court hearing officers, state or federal administrative law judges, federal judges or magistrates, or non-incumbent judicial candidates. To file a complaint against an attorney, you may contact the Disciplinary Board of the Supreme Court. To file a complaint against a federal magistrate or judge, you may contact the Office of the Circuit Executive for the United States Court of Appeals for the Tenth Circuit. To file a complaint against an administrative law judge for the New Mexico Workers Compensation Administration, you may contact the New Mexico Workers Compensation Administration. To file a complaint against an administrative law judge for the United States Social Security Administration, you may contact the Social Security Administration. To file a complaint against a state court hearing officer or special commissioner, you must contact the appointing authority or the chief district court judge of the district. It has been the long-standing policy of the New Mexico Judicial Standards Commission to interact with the public by mail, telephone, or in person contact. The Commission does not accept public correspondence via e-mail or fax. The Commission does not accept complaint forms via email or fax. Article VI, Section 32 of the New Mexico Constitution mandates that “[a]ll papers filed with, and all matters before, the Commission are confidential. The filing of papers and giving of testimony before the commission or its masters is privileged in any action for defamation, except that the record filed by the commission in the supreme court continues privileged but, upon its filing, loses its confidential character, and a writing which was privileged prior to its filing with the commission or its masters does not lose its privilege by the filing.” Confidentiality requirements do not apply to third-party complainants. The Supreme Court’s files and hearings are accessible to the public, subject to the rules and orders of the Court. A complainant’s name may be disclosed to the judge who is the subject of the complaint. A complainant may be called to participate and/or testify in Commission proceedings. Commission staff cannot respond to requests for information regarding a complaint or any other proceeding before the Commission. However, a complainant will receive written notice of the ultimate outcome of the complaint, subject to the limits of confidentiality. The New Mexico Judicial Standards Commission provides the information on this web site as a service to the Internet public. All information is intended to be complete and timely. However, the Commission does not guarantee the accuracy of this information, and assumes no responsibility for any errors or omissions. The New Mexico Judicial Standards Commission does not provide legal advice or explain legal procedures. Legal questions should be reviewed with an attorney. Although some of the information contained on this web site addresses legal matters relating to disciplinary proceedings, it is only intended to assist the public in obtaining a general understanding of the judicial disciplinary process. The underlying facts concerning every grievance are different, and the material contained on this web site is not intended to be used to definitively assess a judge’s conduct. This web site contains links to other web sites. The Commission does not assume any responsibility for the content found on those sites.